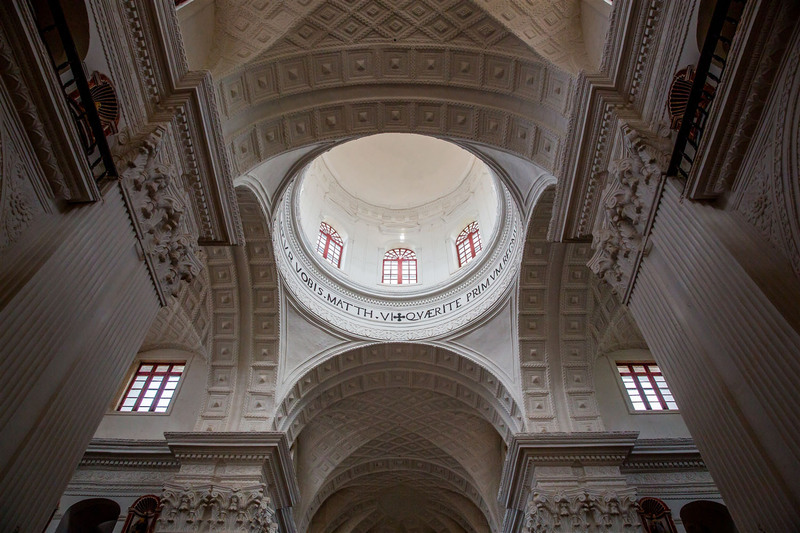 Just 200m east of Viceroy’s Arch in Old Goa is the Church of St.Cajetan. 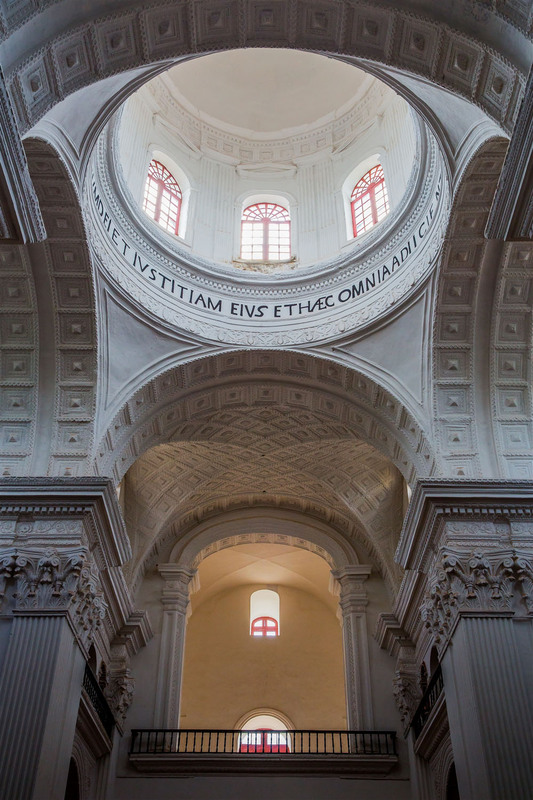 Built in 1656 and modelled on the Basilica of St.Peter in Rome, it is arguably one of India’s finest churches. 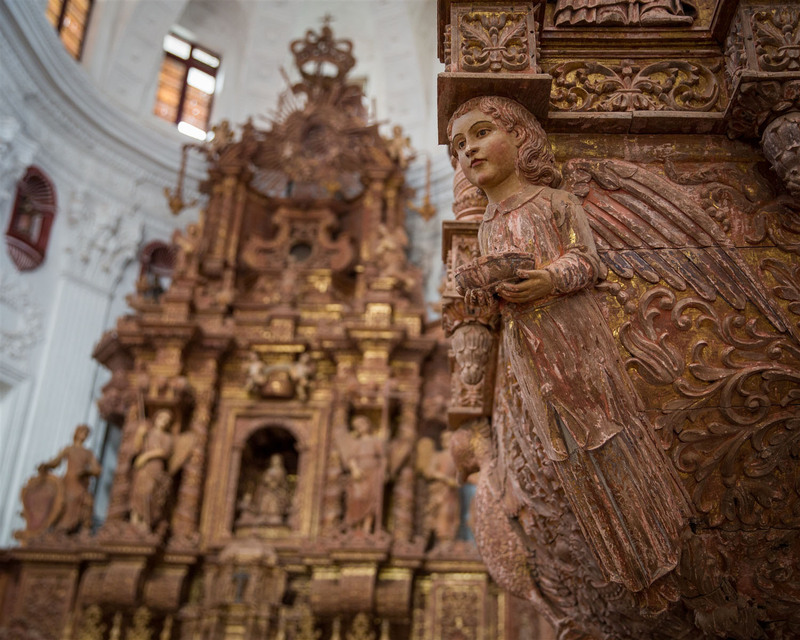 Unsurprisingly, it was built by Italians – members of the Theatine order of monks who were established in the 16th century by St.Cajetan. They had been sent on a papal mission to preach Christianity to the people of Golconda (hear Hyderabad), but they were denied entry and instead stayed in Goa. 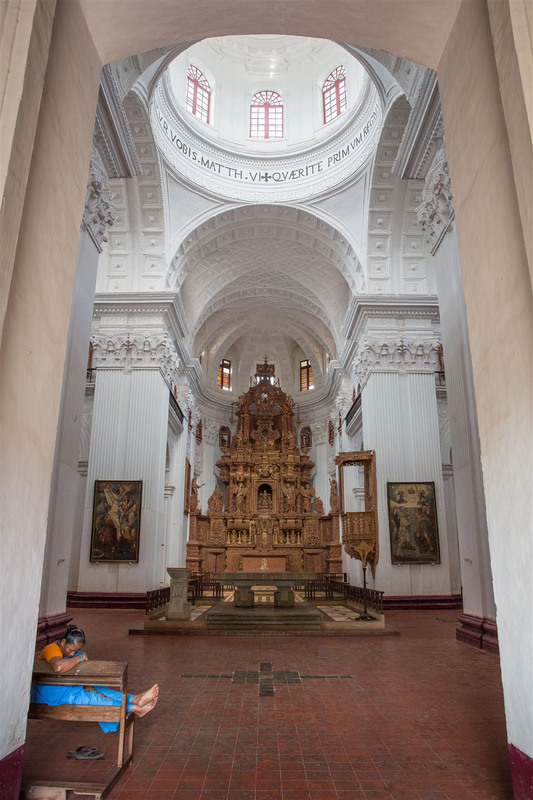 Here they built this wonderful church and adjoining convent. 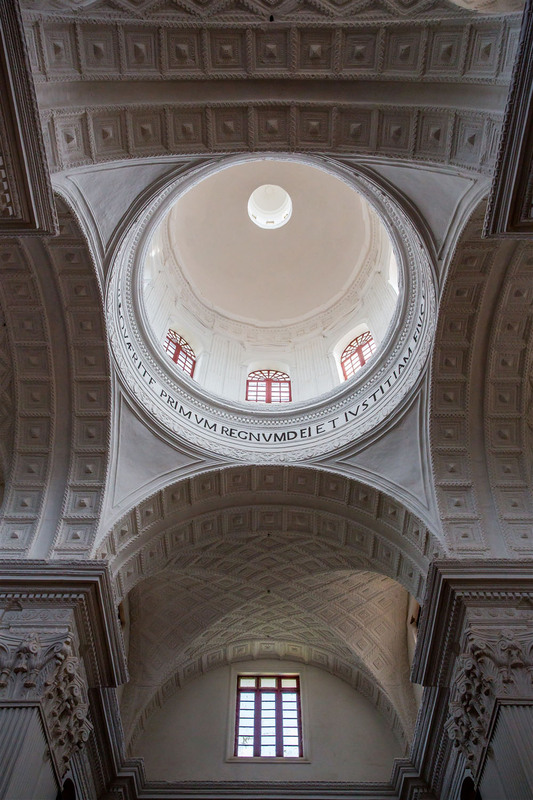 The star of the show is the large glazed dome at the center of the church, from which light pours into the interior. 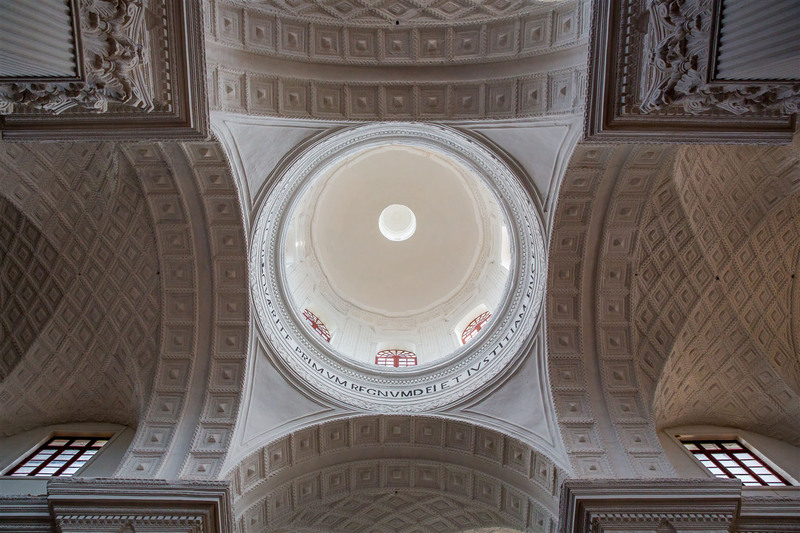 Around the drum of the dome is inscribed in Latin “Quaerite primum regnum Dei et justitiam ejus, et haec omnia adjicientur”, which is from St.Matthew’s Gospel, “Seek first the kingdom of God and his rightousness, and all other things will be given to you”. 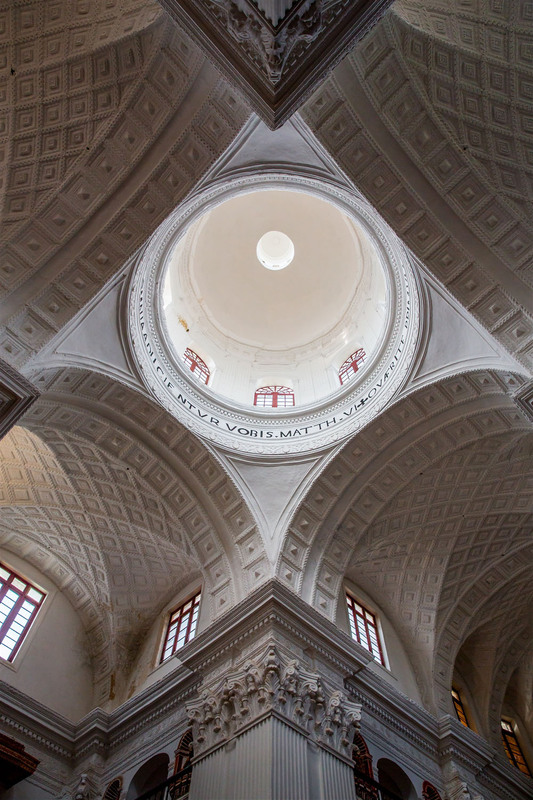 You really do feel like you’re witnessing a masterpiece of architecture from Rome itself, and yet in this tucked away corner of Old Goa it doesn’t seem to attract many visitors at all.